In late December, NIKE reported financial results for its fiscal 2018 second quarter, ended 30 November 2017. For the quarter, the company noted that revenue growth was driven by international geographies and continued strength in NIKE Direct, which was partly offset by an expected decline in North America wholesale revenue. Diluted earnings per share were US$0.46, down 8% year on year due primarily to a decline in gross margin and higher selling and administrative expenses, which offset solid revenue growth, a lower tax rate and a lower average share count. Revenues for NIKE increased 5% to US$8.6 billion, up 3% on a currency-neutral basis. Revenues for the NIKE Brand were US$8.1 billion, up 4% on a constant-currency basis, driven by EMEA, Greater China and APLA, including growth in the Sportswear and NIKE Basketball categories. Revenues for Converse were US$408 million, down 4% on a currency-neutral basis, with international growth more than offset by declines in North America. Gross margin declined 120 basis points to 43.0%, as higher average selling prices were more than offset by unfavourable changes in foreign currency exchange rates and, to a lesser extent, higher product costs per unit. Selling and administrative expense increased 10% to US$2.8 billion. Demand creation expense was US$877 million, up 15%, primarily driven by higher sports marketing and advertising costs. Operating overhead expense increased 8% to US$1.9 billion, due largely to higher administrative costs and continued investments in NIKE Direct. 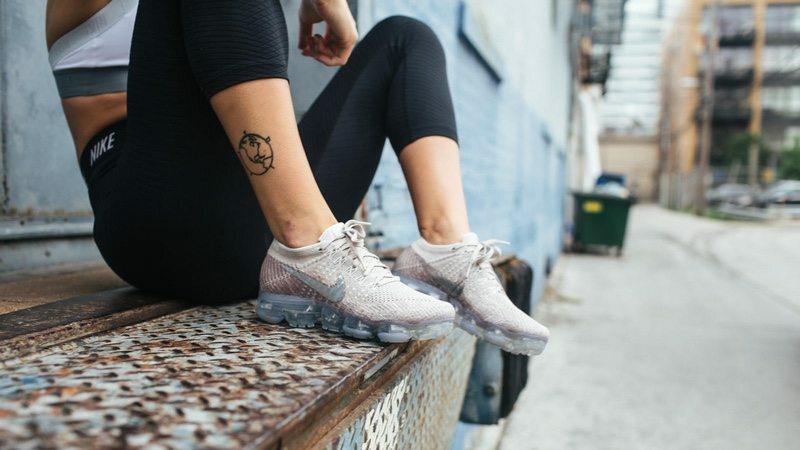 Inventories for NIKEwere US$5.3 billion, up 6% from 30 November 2016, driven primarily by changes in foreign currency exchange rates and, to a lesser extent, an increase in NIKE Brand units. During the second quarter, NIKE repurchased a total of 16.7 million shares for approximately US$902 million as part of the four-year, US$12 billion program approved by the Board of Directors in November 2015. As at 30 November 2017, a total of 111.8 million shares had been repurchased under this program for approximately US$6.2 billion.